This episode is all about the one topic that strikes fear into every blogger or entrepreneur’s heart: legal issues. I think a lot of us instinctively avoid thinking about potential legal problems because we’re afraid to think about our legal vulnerabilities and the issues they can bring. Unfortunately, avoiding the problem doesn’t make it go away. Luckily, today’s guest can help. I’m so excited to feature an interview with Danielle Liss, esquire in Episode 37 of the Blogger to Author Podcast. 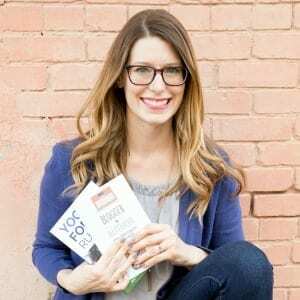 In this interview, Danielle gives some great advice to help you understand the legal issues you should be thinking about, whether you’re an author, influencer, or small business owner. She helps us understand that protecting yourself legally doesn’t have to be scary. Danielle Liss is a partner at Hashtag Legal, a law firm focused on working with influencers and online business owners. As former Chief Marketing Officer and General Counsel of an influencer network, Danielle has extensive experience working with influencers on all aspects of their business.